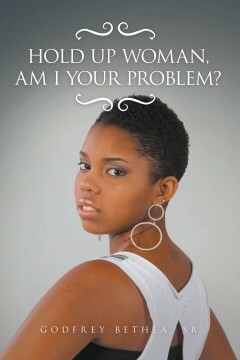 Hold Up Woman, Am I Your Problem? Is your relationship going south, and do you need a change? Your answer is in your hands. Start reading today. Is your woman or your man the cause of your problem? If you are in a relationship or contemplating on getting into one, just resolved or terminated one, or know someone in or out of one, then this book is for you. This book answers almost every question dealing with relationships and will help you solve just about every problematic situation straining your union while bringing much resolve and closure to your existing relationship. Since you are living on this planet and you are a male or female, this book was written with you in mind. The male and female issues didn’t begin with us but started thousands of years ago and were able to keep the pressure on because of our inability to locate the true culprit. Now the exposure is out, and we can do something about it. Born in Brooklyn, and one of nine siblings, life was no picnic for Godfrey, but he managed to finish high school and then college at West Chester University. He later accepted the call into the ministry where his ministry was primarily in the area of physical and mental healing. He later became pastor and founder of the King’s Temple church Lancaster, Pennsylvania. In more than thirty years, he ministered to hundreds of couples that prompted him to search out the cause and origin of the problems which seem to plague so many of them. This book was written because of the results of his findings, and he wanted to share this information with anyone in a relationship. Life does not prepare you for losing your mind and there is no guarantee of finding it once you have lost it. The search for my mind and an understanding of why my life had taken such a drastic turn, led me on an investigative journey through my past. 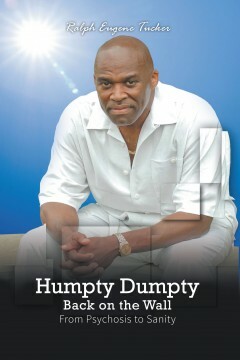 Plagued by thoughts of never being whole again, I felt like Humpty Dumpty who fell off the wall. Although I did not have access to the ‘king’s horses’ and the ‘king’s men’, somehow I was ‘put back together again.’ Perhaps even more than medicine and therapy, love, caring, forgiveness, and nonjudgmental encouragement have been great healers and motivators in my life. This love has also enabled me to love, care, forgive, and encourage others. When I was in a place that I, and others, thought to be a place of no return, I found healing from these unlikely healers. Having been blessed to return from that place, I discovered that sometimes, tragedy is a precursor to triumph and brokenness a prerequisite for wholeness. In my darkest hour, the love and support that I received helped me to find my way. One day while seriously contemplating suicide, sitting with my head in my hands crying, I was startled by a tap on my shoulder from my three year-old son. He patted my shoulder and said, “It’s going to be alright daddy, it’s going to be alright.” Even now, the thought of those words give me a chill, just thinking of how the words of a three-year-old could affect the course of my life. In that moment, a door opened in my mind that allowed me to begin the process of regaining control over my mind and my life. I knew that I did not want to leave him here without a father. The author, raised in a mellow fundamentalist Christian sect, spoke out in defense of egregiously abused members of the group. That precipitated a decade of false accusations, harassment, and ostracization; and subsequently failed health, a lost career, and separation from a lifetime social support system. Forced to leave, he researched, the origins and history of the group and scandalous events that belied the group’s harmonious reputation. Further, in his search of what to safely believe in, he gained the equivalent of a major in religious studies. He concludes with what he found would satisfy his sense of morality. 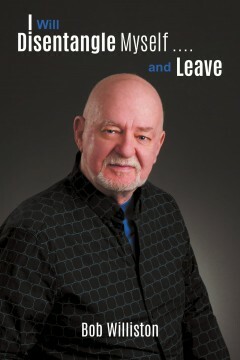 Bob Williston was raised in Miramichi, New Brunswick, and is a graduate of the University of New Brunswick. His post-graduate schools have included Université Laval, Boston University, and College of Southern Nevada. His career has included teacher of French, English Language, U.S. History, and Political Science in several provinces of Canada and Nevada. For a short time he taught Character Education at a middle school for delinquent students. As well, he served in one session of the Nevada Legislature as Secretary to the Senate Finance Committee. He is now retired and living in Las Vegas, Nevada. ¿Por qué la “Intención Original” de la restauración de la Novia de Cristo en su propósito y destino traerá un impacto global? Cuando el corazón de la sociedad está desconectado de la verdad, sufre consecuencias. Estas consecuencias incluyen la ausencia de paternidad y maternidad, de masculinidad y crisis femeninas, dolor, sufrimiento, que son energizados por las heridas del corazón, luchando contra una falsa fortaleza emocional mediante todo tipo de drogadicción, adicción al alcohol, conductas alocadas y el control de estructuras religiosas rígidas que suprimen el dolor temporalmente. En las estructuras religiosas, aquellos que en lugar de ser enseñados a conocer y amar a Dios, fueron puestos bajo el pie de la ley, encontrarán la respuesta. 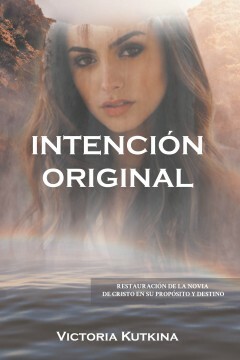 Este libro está escrito para ser políticamente incorrecto, para exponer las falsificaciones en la Iglesia que se interponen entre la Novia y el Novio, enlugar de estar ante la Novia que es llevada a su boda. La Autora es profesora de piano de Kiev, Ucrania, vino a los Estados Unidos en 1990. Debido a su pasión para encontrar la salida para aquellos que no pueden defenderse por sí mismos, habiendo sido abusada por todo tipo de sustancia y organizaciones religiosas estructurales, se convirtió en una profeta para las naciones. Es fundadora del canal de youtube “OriginalintentTV”, oradora invitada y maestra en el ministerio “Original Intent”, reside en Miami con su hermosa familia. 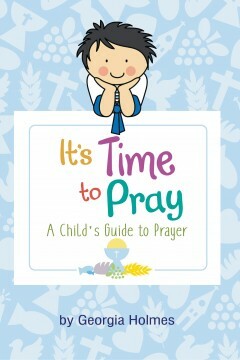 This is a new and updated edition of a popular and well received guide to prayer for children. The book is an easy reading, whimsical, and lyrical book for elementary age children. The first half consists of rhyming verses describing what prayer is and how to pray. The second half consists of prayers that can be taught to children. Table prayers, bedtime prayers and general prayers are included. The book is intended for children, but also serves as an aid to parents, grandparents and others who wish to introduce children to the concept of Christian prayer. The book could be used as a First Communion gift or in religious education courses. After teaching Sunday school and language arts to middle schoolers, Georgia Holmes went on to study law, business and theology. She is an emeritus professor who taught courses in the legal and ethical environment of business to master’s level students in the Masters of Business Administration and Masters in Accounting programs at Minnesota State University, Mankato. She has been active in campus ministry. This is a historical novel of the life of Jesus, which combines a reconciliation of the gospels, Jewish law, Roman law, forensic reasoning, and research on the nature of Roman counterintelligence. It follows Jesus from his early years to his crucifixion and disappearance from the tomb and includes a final interview with Nicodemus several years later. Richard Malmed has been studying medieval and biblical history for many years as an avocation and intends to write more historical novels from that period. He will rely on authentic historical documents, accepted academic theories, forensic analysis and legal research to guide his writing. He has used his 48 years a trial attorney to reason through evidence available to assemble a credible narrative most closely derived from sources and consistent with the majority of scholarly opinion. God is not the author of confusion, but of peace. As men are at peace with their understanding of God’s Law of Gravity, so they should be at peace with God’s Doctrine of Marriage. 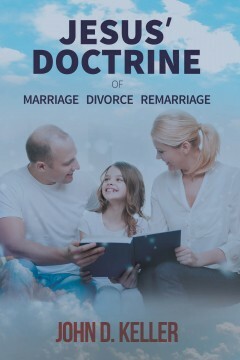 Divorce must be subject to the doctrine of marriage; it will be seen that marriage supersedes the idea of divorce and in their struggle marriage obliterates her foe; divorce. God declares that the very existence of man was defined as a marriage when He said: “He created man in His own image, and He created man: male and female created He “them”; man is a them. John D. Keller was born in America’s northeast on the dawn of WWII. A fellow student in high school, through witnessing, helped lead him to the Lord and shortly afterward graduation, John married Janet in the Lord. Our marriage has brought us six children and many grandchildren. After graduation from Philadelphia College of the Bible he was ordained to the Gospel Ministry and was the pastor of two independent Baptist Churches in Maine. 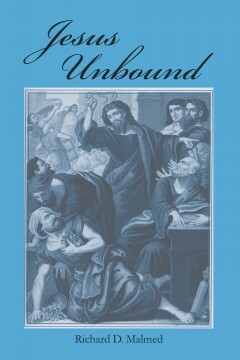 This book began as a Gospel tract in 1975: Apostasy and Divorce. This manuscript is a result of forty years of study – all for His Glory. 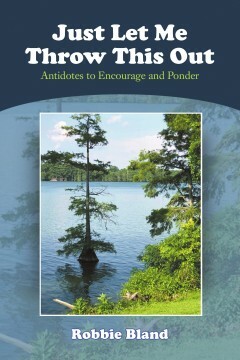 “Just Let Me Throw This Out” fulfills the author’s passion to share thoughts, beliefs, and interpretations from studying God’s Word. There is no intent in this project to replace the bible. It presents the desires and efforts of the author, as a church layman, to encourage others. Topics cover a wide spectrum. Obtaining clarity and hope through the passages shared is the main focus presented. This project was designed for brief discussion when possible, and offer encouraging thoughts to ponder. Prayerfully, spiritual help is offered and some directions are given. If this book helps anyone move toward a closer relationship with God, my efforts are accomplished. 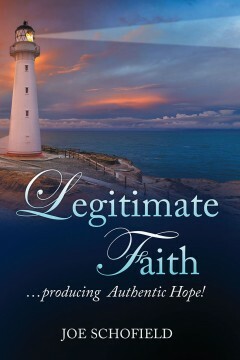 Legitimate Faith …producing Authentic Hope! deeply into our hearts revealing the truth and reality of God’s faithfulness! We discover that God grows in each of us a “Legitimate Faith” that is more wonderful that we could have ever imagined. This volume is part one of three volumes. 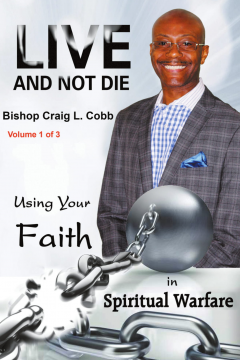 I believe this book conveys a mandatory message for the believer through biblical analysis of the principles that faith is TAUGHT and faith is CAUGHT. You must first understand that the blessings you long for and have yet to receive exist in spirit form (Eph. 1:3). Wrap your mind around this truth!! Your blessings exist, but you can’t see them in the natural. They aren’t visible! There is a process that must be initiated by a deliberate engagement in order to receive the manifestation and tangible possession of what exists for you in spirit form. Your life is bigger than the level you’re living on. It feels like you’re suffocating, but “YOU SHALL LIVE AND NOT DIE.” Spiritual warfare isn’t a choice. Learn how to use your faith in this dimension in this new season and live. “For therein is the righteousness of God revealed from faith to faith: as it is written, the just shall LIVE by faith” (Rom. 1:17).